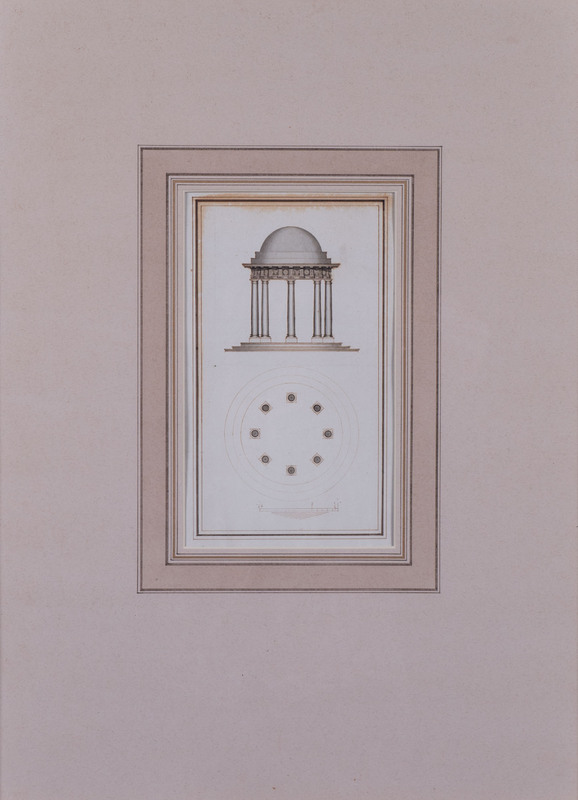 Plan and elevation for a Doric temple, English School, circa 1760. Pen and brown ink and wash, on laid paper, 27.5cm by 16cm. Inscribed on verso: Temple at Sir Charles Tight. After inheriting the title on the death of his father in 1754, Brownlow, 9th Earl of Exeter (1725-1793) began a period of refurbishment at Burghley. Drawings of this kind would have been commissioned by him, or for him, as the work progressed and as ideas were formulated for buildings and structures within the gardens under the direction of Lancelot ‘Capability’ Brown.